Alva Smith, her southern family destitute after the Civil War, married into one of America's great Gilded Age dynasties: the newly wealthy but socially shunned Vanderbilts. Ignored by New York's old-money circles and determined to win respect, she designed and built 9 mansions, hosted grand balls, and arranged for her daughter to marry a duke. But Alva also defied convention for women of her time, asserting power within her marriage and becoming a leader in the women's suffrage movement. With a nod to Jane Austen and Edith Wharton, in A Well-Behaved Woman Therese Anne Fowler paints a glittering world of enormous wealth contrasted against desperate poverty, of social ambition and social scorn, of friendship and betrayal, and an unforgettable story of a remarkable woman. Meet Alva Smith Vanderbilt Belmont, living proof that history is made by those who know the rules - and how to break them. WHEN THEY ASKED her about the Vanderbilts and Belmonts, about their celebrations and depredations, the mansions and balls, the lawsuits, the betrayals, the riftswhen they asked why she did the extreme things she'd done, Alva said it all began quite simply: Once there was a desperate young woman whose mother was dead and whose father was dying almost as quickly as his money was running out. It was 1874. Summertime. She was twenty-one years old, ripened unpicked fruit rotting on the branch. I can't say that A Well-Behaved Woman is absolutely perfect, but it does come very close. Fowler's writing style is very open, honest and absorbing, so despite its slightly extended length, I became so immediately and fully involved in the story that I practically whizzed through the pages. However, I believe there were some areas (although they were few and far between) that could have been cut out, or cut down, that might have made the narrative more cohesive and consistent. In addition, I had hoped that more of Ava's later years of life would have been included, but the ending, including the afterword and author's note, make up for that they are just as well written and very important to read, so please don't skip them. 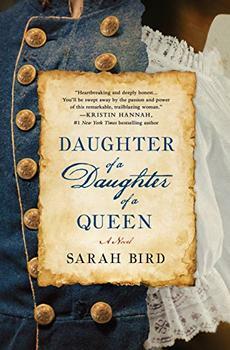 These niggles, however, aren't enough for me to lower my rating from a full five stars, and I honestly enjoyed this book and can warmly recommend it to lovers of historical fiction about women. (Reviewed by Davida Chazan). With you-are-there immediacy fueled by assured attention to biographical detail and deft weaving of labyrinthine intrigue, Fowler (Z, 2014) creates a thoroughly credible imagining of the challenges and emotional turmoil facing this fiercely independent woman. Fowler (Exposure) ably portrays the excesses of the Gilded Age but falls short in her avowed attempt to counteract Alva's reputation as an ambitious social climber. Expect high demand from fans of the author's Z: A Novel of Zelda Fitzgerald and those who enjoy stories of the rich and famous. Starred Review. Genius....Though the novel's lavish sweep and gorgeous details evoke a vanished world, Fowler's exploration of the way powerful women are simultaneously devalued and rewarded resonates powerfully. Starred Review. Nothing short of mesmerizing. Alva provides a fascinating prism for the challenges and pleasures of era, and is endlessly engrossing as a character, full of action and vision and will - just the sort of woman I love knowing more about. I dare you not to dive right in. Oh how I loved every instant I spent in the world Fowler has recreated here. The story of Alva Vanderbilt is elegantly and empathetically told. Prepare to be enthralled! A Well-Behaved Woman is a gem: a fascinating tale of Gilded Age manners and mores, and one remarkable woman's attempts to transcend them. Therese Anne Fowler, the immensely gifted writer who gave us all new insights into Zelda Fitzgerald in her novel, Z, has done it again for Alva Vanderbilt Belmont. History comes alive in this immensely readable novel...A Well-Behaved Woman is an extraordinary portrait of a strong, fascinating woman who rose above societal convention and even her own expectations to become so much more than anyone might have predicted. The story of Alva Vanderbilt is long overdue for a telling, but it was worth the wait. Therese Anne Fowler has brought this compelling, complex woman to such dynamic life that she leaps off the pages. This is a delicious book, as well as a timely one. In another writer's hands, Alva Vanderbilt's immense wealth and carefully calculated life might have proved barriers to readerly sympathy. But Fowler's portrait is so nuanced, so complicated by context, and so informed by her own capacious generosity that we can't help being drawn in...This is a wonderful book! Not just breathtakingly alive, but dazzlingly and profoundly timely. A must-read masterpiece. A sparkling, powerful story that needs to be heard now more than ever. Fowler's heroine is drawn with care and complexity, a woman of exquisite taste and depth, and one who dares to dream beyond the stifling role which society has assigned her.